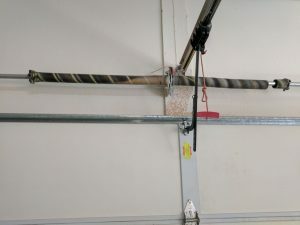 One of the most common repair projects we perform are on garage door springs. It’s a pretty easy job, but when springs are installed right the first time, we’d probably have a lot less work to do! 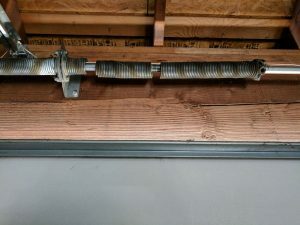 The most common issue we find with broken springs is that they are the wrong size for the garage door. 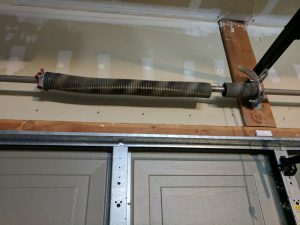 The job of garage door springs is to support the weight of your garage door. 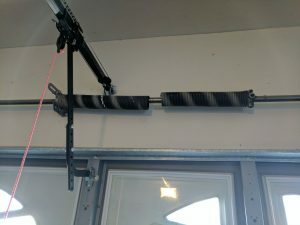 They need to be matched in size to the size and weight of the garage door, or they won’t work as they should. If the spring is too small, it can’t properly support the heavy door weight and can either break, or cause wear and tear unnecessarily on the opener. Another issue is not enough springs. Many doors have only one spring installed. On a one car garage door, this is sufficient. 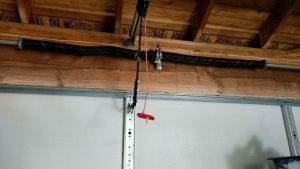 But on most two car garage doors, a dual spring system will be of great benefit, and less expensive in the long run when you consider the life of the springs and garage door opener. 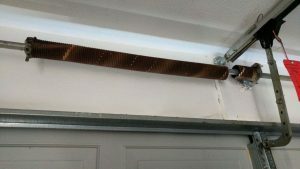 Two springs on a 2 car garage door also ensure your garage door will open safely. Below are some examples of broken springs, that we repaired by installing a dual spring system. You might think that one spring is just find for your door, as long as it’s big enough. This is sometimes true, but the added security having two installed springs provides is priceless. And two springs will last much longer than one spring, so the ROI is worth something in the long run. Plus two springs helps to balance the door more appropriately, which only adds to the safety of your garage door. In some of the pictures you can notice a race as well, which we install when installing new springs. 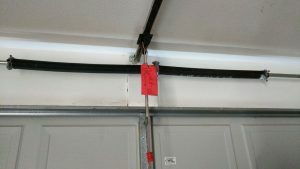 The brace helps to reinforce the garage door, and helps prevent the panels from cracking. 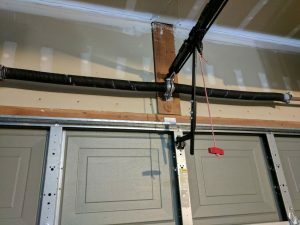 Many newer construction homes are being built by large developers, and they install only one spring in the garage. This meets code, but is the minimum requirement. It saves money for the builders to only install one torsion spring. However, you’ll pay for it later on.